The London to Brighton Veteran Car Run sees over 500 pre-1905 vehicles line up in Hyde Park as they prepare to make the 60 mile drive from central London to the Brighton seafront in Sussex, through some of Britain's loveliest scenery. It's a great day out for vintage car enthusiasts from all over the UK and beyond and it's also a bit of a spectacle. The day before the run, on Saturday, more than 100 of these beautiful old cars can be seen on Regent Street as part of The Regent Street Motor Show. You can get up and close to view them and its free of charge. This annual event has taken place every November to commemorate the Emancipation Run of 1896, celebrating the passing into law of the 'Locomotives on the Highway Act'. This raised the speed limit from 4mph to 14mph and meant that cars no longer had to travel with a man walking in front. What are the best dining options near London to Brighton Veteran Car Run London? London to Brighton Veteran Car Run gyms, sporting activities, health & beauty and fitness. The best pubs near London London to Brighton Veteran Car Run. 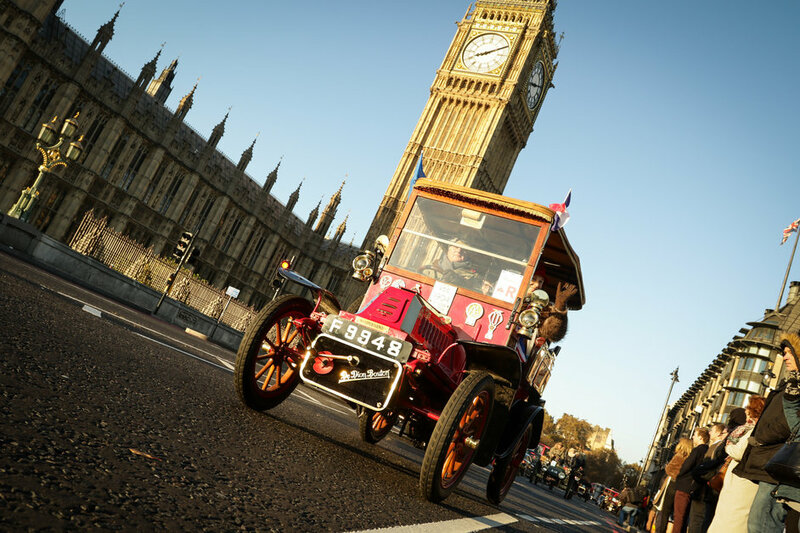 London to Brighton Veteran Car Run clubs, bars, cabaret nights, casinos and interesting nightlife. Where to have your meeting, conference, exhibition, private dining or training course near London to Brighton Veteran Car Run. From cheap budget accommodation to luxury 5 star suites see our discounts for Hyde Park hotels, including Amba Hotel Marble Arch from 79% off.